The best 4k gaming monitors are ideal if you want to play games using gaming consoles such as PS4 pro or Xbox one x. The 4k display gives you a captivating and immersive gaming experience. Almost all the gamers love to have the best 4k gaming monitor. Are HDR gaming monitors worth it? Can I really view the darker scenes with a 4k gaming monitor? 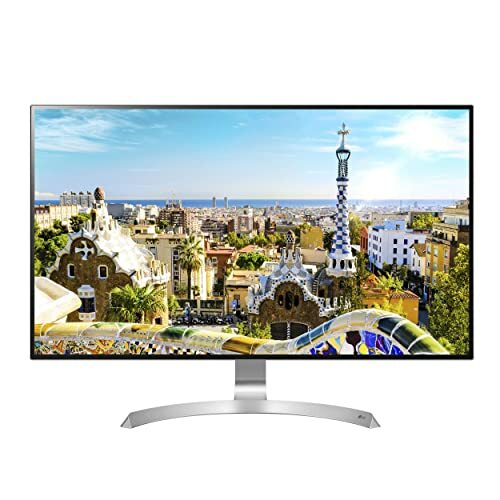 The LG 32UD99-W 4K UHD Monitor has a screen size of 32 inches, which is ideal for the game enthusiasts who want to have a large gaming monitor to play the games. This gaming monitor has a lot in store that will surely grab the attention of gamers. Being an IPS panel, the LG monitor is capable of displaying great colors and consistent viewing angle from where you look at the screen. It is designed to provide 4k resolution that will surely give you an immersive gaming experience. You will get a lifelike image quality. Moreover, it has HDR 10 facility, which is known to improve the capabilities of any monitor by providing specific levels of brightness and colors. It helps you to realize the content from the vision of the content creator. The LG 32UD99-W is compatible with HDCP 2.2 copy protection allow the monitor to display videos from 4k streaming services, ultra HD Blu-ray disc player, and game consoles. It has a borderless design having 1.33 mm bezel. Due to the screen split feature, it performs multiple tasks. It permits you to have multiple windows and also resize them. It offers 14 options including 4 different PIP (picture-in-picture) choices. 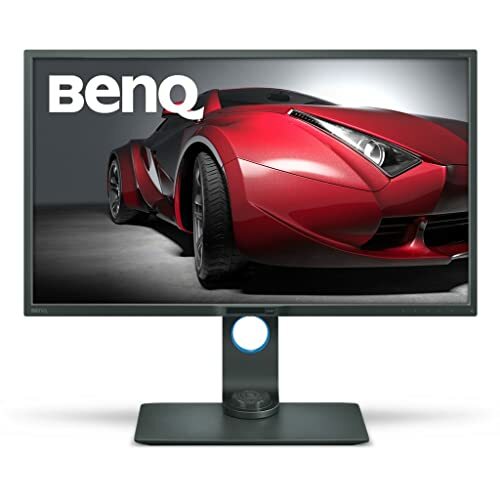 The BenQ PD3200U is an advanced 4k gaming monitor having a lot in store for the gamers. The first thing anyone can notice about this gaming monitor is the tag of Amazon’s Choice product, which would not be possible without the exceptional quality and outstanding features. Gamers prefer it over other gaming monitors and provide positive feedback that makes it Amazon’s choice monitor. It is a 32 inch 4k gaming monitor having a wide viewing angle and bright colors that provide an immersive gaming experience. Being a designer monitor, it offers accurate colors and high details making it ideal for the designers as well for the gamers. It is capable of producing the best and accurate colors because of the 100% sRGB coverage, 10 bits, and REC 709 color space. BenQ monitor features a dark room mode that has the ability to adjust the contrast and brightness automatically to the suitable settings and as a result, you will get a sharper and clearer image. To have a better visualization of darker details, it features an animation mode. The function of this mode is to lighten up the scenes and areas of the monitor so that you can have a better view. The Hotkey puck allows you to switch the modes; sRGB, CAD/CAM, and animation. 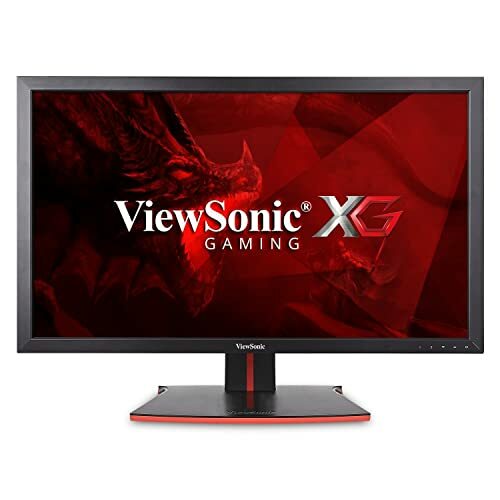 The ViewSonic XG2700-4K 4K Gaming Monitor is one of the best 4k gaming monitors for advanced gaming consoles. The capability of displaying a 4k resolution is amazing that will surely add up to your gaming experience. The display is perfect for all the gamers no matter what game you play, you will end up having an immersive gaming experience. It is a 27-inch ultra HD LED gaming monitor having all the features that a gamer likes to have in their gaming monitor. The ViewSonic XG2700-4K has a customizable pro-style color settings option that allows you to set it according to your requirements to have accurate colors. The black stabilization brightens the screen and provides visibility so that you can have a more detailed view even in dark scenes. It helps you detect your enemies and finish them before they could finish you. The monitor also features a built-in process reducer and the function of this feature is to process the commands from the mouse, controller, or keyboard. In some games, the action got really intensified and at that time, you need the gaming monitor to process all the commands and the process reducer does the same. Moreover, the ViewSonic XG2700-4K comes with a warranty of 3 years, which is really great. The LG 4K UHD 27UD88-W is a high-quality gaming monitor having a screen size of 27 inches. The 4k display of this monitor is amazing as it provides immersive gaming experience with as clear and sharp display that supports IPS technology. 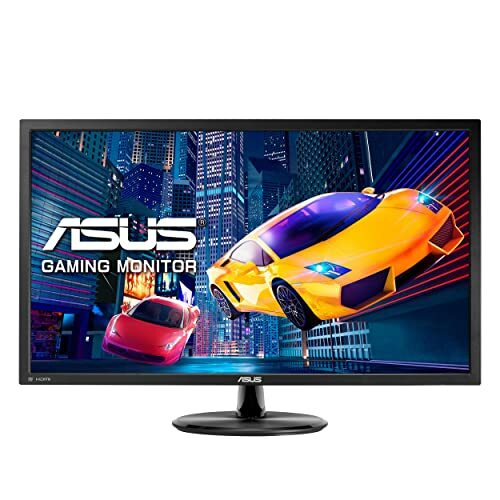 This gaming monitor has earned the Amazon’s Choice tag for being an outstanding gaming monitor that has a maximum number of buyers. 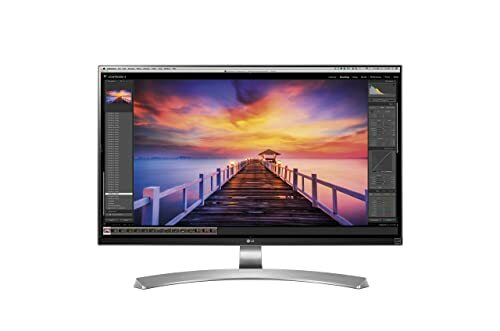 The 99% sRGB coverage makes the monitor ideal for professional graphic designers and photographers as well as for those who are willing to have highly accurate colors. With the Freesync technology, there will be no stuttering in tearing that provides a seamless gaming experience. Moreover, the black stabilizer makes it easier for you to view the darker scenes as it senses the dark scenes and provides you an access to brighten up the screen. The on-screen control makes the monitor setting simpler for the gamers as they can adjust the volume, brightness, contrast, screen split, and many other settings using the mouse. So, you don’t need to get up to press the buttons to adjust the settings, which is definitely a plus point of this monitor. It is one of the best 4k gaming monitors that have achieved Amazon’s choice tag. The ASUS VP28UQG 4K is an exceptional quality Gaming Monitor that has been doing really well and that is the reason game enthusiasts prefer to have it. It has an eye care technology that is definitely a good feature for all the gamers that allow them to play games for longer without getting the eye strain as it eliminates the flickering and also lowers the blue light. 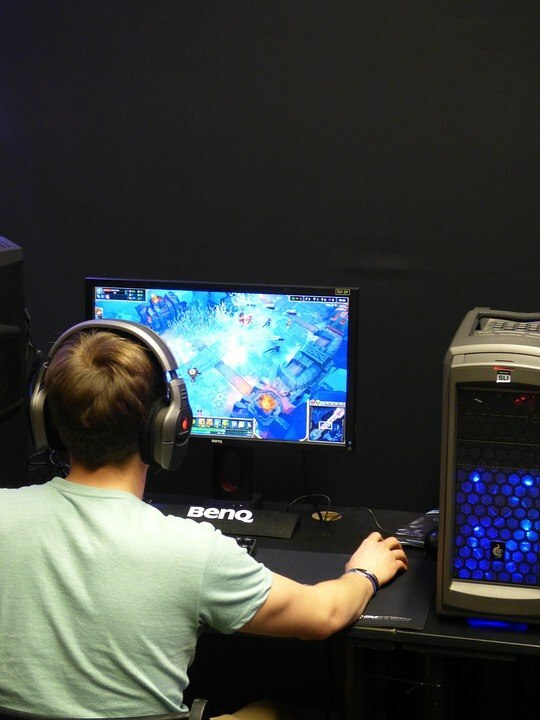 So, with this gaming monitor, gamers can play games without worrying about eye strains or stress. The ASUS VP28UQG is a 4k gaming monitor having a screen size of 28 inches. It is known for providing high-resolution with a smooth and continuous operation that too at an affordable price. With the 5-way on-screen joystick, you can adjust the settings such as brightness, volume, contrast, and etc without needing to get up to press the buttons. Moreover, it allows you to set the timer to keep a tab on how long you have taken to pass a certain challenge or beat a certain level. The built-in FPS counter permits you to show off the frame rates. The GamePlus technology is an exclusive feature that allows you to adjust a few key gaming factors such as crosshairs and no scope option. HDR (high dynamic range) is known to boost up the contrast between the dark and light areas by enhancing the display colors of an image so that it seems closer to your eyes as if you are viewing it in real life. In short, it provides the lifelike images having outstanding colors and vivid quality. The HDR monitors proffer great refinement in your gaming experience. It is capable of displaying a much brighter image with higher color quality and higher contrast with vibrant details in the highlights and shadows. There are some issues as well when it comes to HDR and gaming. If you are willing to play PC games, then there are many games that do not support HDR. The other issue is the toggling of HDR on windows and to make it work properly, you need to adjust or fidget a lot of settings and adjusting the drivers as well. To minimize this issue, you need to buy an HDR gaming monitor having a GSync or FreeSync feature. This will surely allow you to have a seamless gaming experience. When you are up for buying an HDR gaming monitor you will realize that there are five different HDR standards that will surely confuse the buyers. Dolby vision, HDR10, HDR10+, HLG (Hybrid Log Gamma), and advanced HDR are the five standards of HDR. HDR10 is the most popular standard used by companies such as Microsoft and Sony. It is quite easier and simpler for both users and manufacturers. There are many exceptional quality monitors on the market that has HDR10 functionality. So, the answer is YES, the HDR gaming monitors are good and worth it if you want to have a better and immersive gaming experience. The 4k gaming monitors are the best in providing a detailed view. If you want to view the darker scenes, then your gaming monitor should have a black stabilizer function. This feature is known to provide an outstanding view even in the darker scenes and some monitors are good enough to automatically detect the darker scenes. Black stabilizer mode makes the darker scenes visible and allows you to have a detailed view so that you can beat the challenge or kill the enemies quite easily. Most of the 4k gaming monitors have the functionality that helps you view the darker scenes. In this article, we have discussed the best 4k gaming monitors that are ideal for gamers and each monitor is best at its own place. A few monitors are affordable, while few are expensive. Some backed up with a warranty whereas some do not come with any warranty. Apart from reviewing the best 4k gaming monitors, we also discussed the buyers guide for the convenience of the buyers.